In my quest to add E-Stop control to the PC & Servos, and PC spindle switching I had already created a new mill panel front and relay holding PCB. All that remains it to rewire the panel. The only wiring that will be kept is the 240V motor supply & switching (to respective relays), all other wiring will be removed and replaced. I've already removed the control wiring (most of it relating to the dubious "tapping" feature) and need to plan the final wiring (hopefully I can reuse some of the spade terminated wires). It's fairly straight forward (I'm not showing the 12V supply, or 240V neutral line). 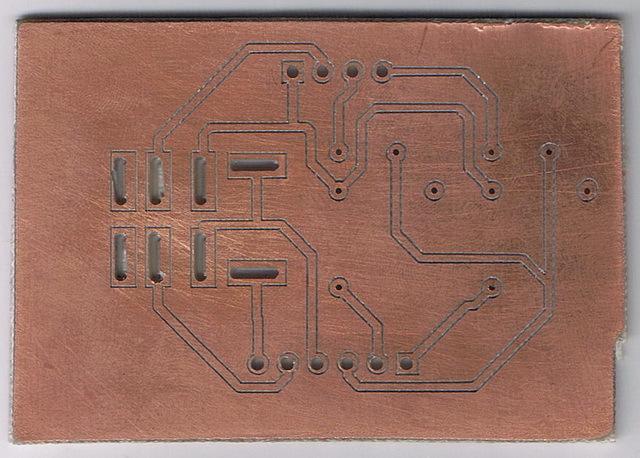 You can see the 5 spots that the PCB will need to link into the 240V wiring (well 6, 1 more for neutral). This will give me a very good idea of the wiring links required, and should allow for a well planned and neat job. I thought I drop a quick note on the lumps of tree I've found useful in my electronic escapades. 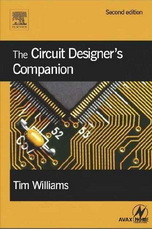 This is a great book for all those little practical ideas around electronics that you missed when you first learned it. Great for the basics. Read it cover to cover. So now you're actually going to design and build something? What about all those little gotchas in the real world? This book is filled with how to deal with the real world. 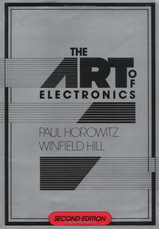 It covers the theoretical "ideal" situations, and then shows how to handle the realistic "practical situations". 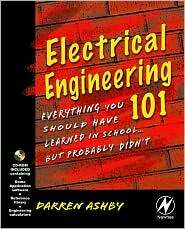 Wiring, grounding, distortion, interference, heat sinking, etc. Read it by the chapter when you're thinking about those things. Not for the beginner, more for the novice designer. If there was a book that was seen as the bible, this is it. 1125 pages of detailed information. Personally, I find it too detailed to just read through, and will read a subsection on the particular item of interest. An invaluable reference, but fairly full on for novices. My new mill panel needs both rewiring and new components to allow the PC to switch the spindle on & off. 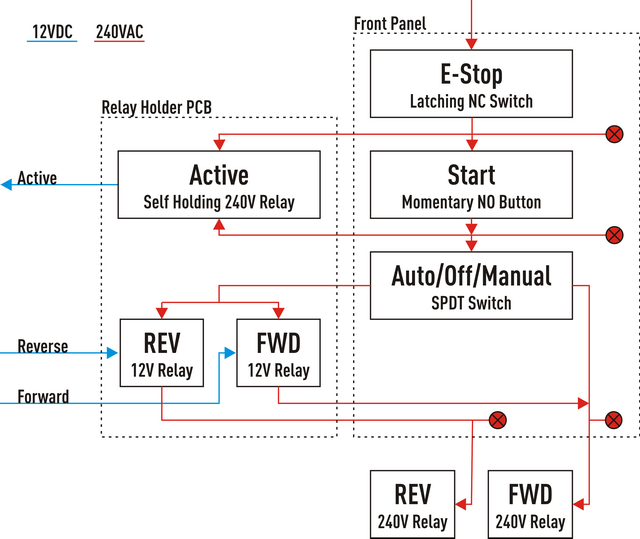 This includes 3 new relays (1 x 240V for "on" latching, and 2 x 12V relays for FWD+REV). Whilst I could just wire them up, it would result in an unstructured mess. I really wanted a nice PCB to mount them. I had previously fallen in love with the idea of milling PCBs. With etching PCBs, after all the messy chemicals and issues with brokens tracks, etc... you still had to (manually) drill them anyway. I wanted to CNC drill the boards, and being able to isolation route them as well would make PCB creation a single "tool" process. For about $20 AUD on eBay I bought 5 x 60˚ V-Shaped Carbide Engraving Bits. At a depth of 0.25mm these 60˚ V bits create a Ø0.29mm path at the surface. 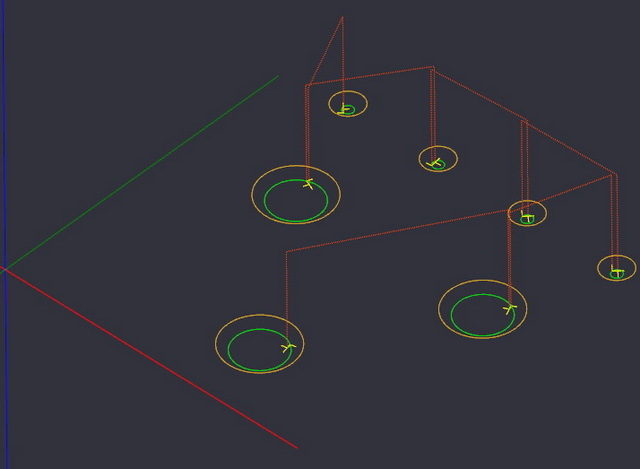 All you need is some software to create the milling G-code from the PCB's Gerber definition. I tried a demo of CopperCAM (others have mentioned CircuitCAM, and also exporting as DXF to vector tools for manual manipulation). After exporting the Gerber & drill files from my PCB software, I imported them into CopperCAM. CopperCAM produces the final G-code, with tool-change commands for swapping thru different engraving, milling and drilling bits. 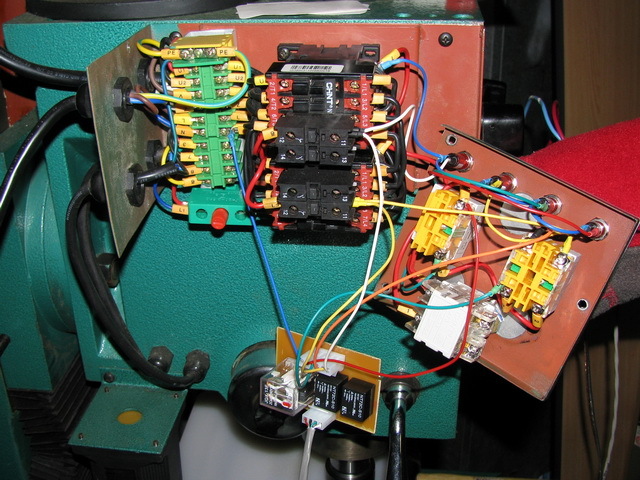 This G-code was then run in Mach3 (blank PCB was held down with double sided tape). Unfortunately my mill is designed for heavy work and 1250 RPM is the spindle's top speed. So I used a very slow feed speed of 60mm/min (~0.05mm/rev). I may be able to go faster (maybe 120mm/min) but not much more. I do plan to find a way to mount a high speed rotary tool to my mill to allow for such needs. The slots are a bit sloppy, but I did those under manual control with the V bit as I don't have a small enough endmill - yet. I'll solder it up today, and look to mount it in the mill's control box. Once again... I'm very happy with the result of my latest mill experiment. I've been seeing an increasing amount of comment spam lately. BlogEngine.NET isn't a large target, but the spammers are starting to find it and I'm getting sick of manually culling the comments. Before investing more time into my current install, I figured it was worth looking at an upgrade. This isn't something I'll do lightly. In the past, the BlogEngine.NET project hasn't been very responsive to my bug reports & fixes. It has taken about 6 weeks from a bug report (with an attached fix) to being committed to the repository. 6 weeks is a little beyond my attention span. There's been a fair bit of updating since the 1.3.1.30 release that I'm currently running and the idea of switching to 1.5.1.1 is a little scary. My past experiences with Mono and BE haven't been smooth, and hunting down bugs in both Mono & BE again just to get a minor upgrade, is far too much effort. But since my previous logged issues had been fixed, I felt it was time to give BE another upgrade shot. With my notes still lying around from last time, I decided to grab the latest BE source (r27024) and see how it went. To my surprise it not just compiled (previous versions would not even compile)... but it also ran. I headed off to download Justin Etheredge's Akismet Extension for BlogEngine.NET. I wasn't too familiar with Akismet, but it requires you to have a WordPress API key. I headed off to WordPress to create an account and get an API key (just a blog, just an account with an API key). I wasn't too familar with BlogEngine.NET Extensions, so after setting the Akismet Extension options, I clicked the "View" link for that extension... "Source for [/opt/blog/BlogEngine/BlogEngine.NET/App_Code\Extensions\AkismetExtension.cs] not found" Doh! Clash of the Slash! It appears that BlogEngine.NET still doesn't have enough of a *nix following to have ironed all the bugs out. But I've reported what I've found, and just put my latest patch for BlogEngine on Mono up. You'll find it on the BlogEngine.NET Mono Patches page. P.S. I haven't actually switched my live blog to the new 1.5.1.1 code... yet. I want to test it in a development environment a little more first. In rewiring the mill's controls, I will need a new front panel for the mill. I started by Drawing my desired panel in CorelDraw. I've used CorelDraw since the dark ages, and the current X4 product feels like it's lost some of its shine. Still, it's the simplest Vector drawing package I know how to use, so that's where I started. It wasn't long before I hit my first hurdle. CorelDraw's DXF export leaves a lot to be desired. Instead of exporting curves, circles and arcs are exported as a series of lines (yuck!). There is a "work around", and that's a product called "DXFTool for CorelDraw V2". It's an add-on to CorelDraw that exports curves as curves. Unfortunately, it's commercial, and my evaluation version will shortly expire. I will need to find a better vector tool. Once the design was in CorelDraw, I exported the indicator and switch holes to a DXF file, and imported them to CamBam. It was just a series of hole, so I did an internal profile with an end mill. The extra yellow arrow you see are the lead-in movements. This is to help give a uniform appearance to the hole (no drilling evidence). Firstly the steel cover had these holes milled into it, and then a piece of 0.5mm thick aluminium (the face) had the same machining performed. The label portions (text & markings) of the panel were printed (mirrored) to a sheet of laser printer transparency. The aluminium panel was cleaned and then covered in spray adhesive, and the transparency laid on top. This puts the toner between the transparency and aluminum face, protecting it from being worn off. The transparency material covering the holes was cut out with an exacto knife (and a quick edge grind with a rotary tool). Ok... I have to admit it. I'm pretty happy with the result. I'll even go as far to say that I think it now looks better than the original factory panel. Every time I use the mill, I'm learning something about "machining". But what I seem to be learning most of all, is about work holding. How do you mill into sheet? How do you keep it flat? How do you not drill into your mill table? How do you align the part to the mill? I think there's an awful lot to learn before a tool even meets the part. I've got all the parts I'll need for the new wiring scheme, and with the new panel in place I can begin the rewiring. Now it gets interesting! The ZAY7045 I have has an interesting "feature". 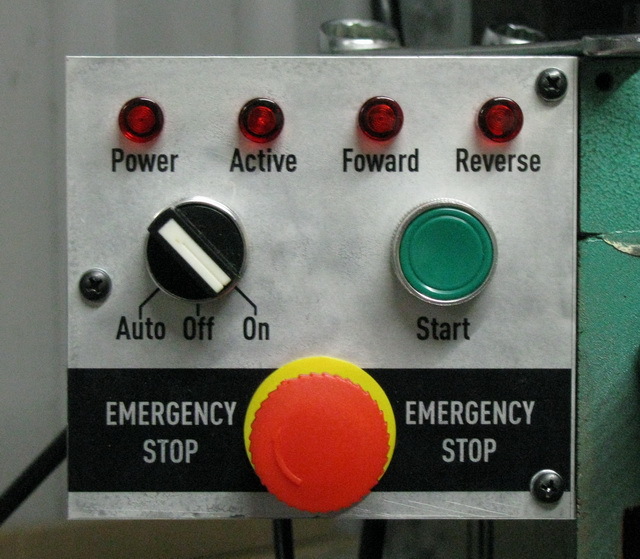 To restart: Re-switch to "Drilling/Milling" and/or re-arm the "E-STOP", and then press the "Start" button again (seems a little redundant). To start: Switch it to "Tapping" and press the "Start" button (spindle turns clockwise). To reverse out: Lower the quill until it triggers the bottom switch (spindle suddenly turns counter-clockwise). To stop: Raise the quill until it triggers the top switch (spindle stops). 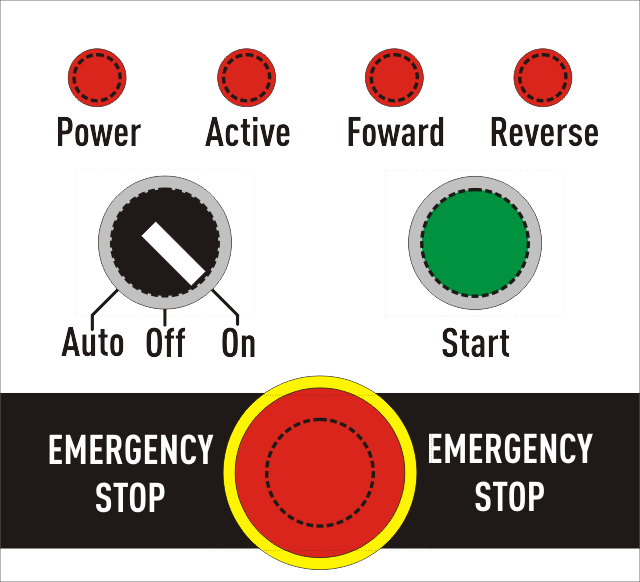 To restart: Press the "Start" button (spindle turns clockwise). I can see that if you were tapping at the same Z height all day, that this could be a handy option. But the setup to get the quill switch to engage at the right point would be far too fiddly for small jobs. This is achieved with 1 switch (SPDT centre off), 2 micro-switches (SPDT), 2 buttons (1 NO & 1 NC) and 2 relays (with 5 NO & 1 NC each). So, what's wrong with current controls? 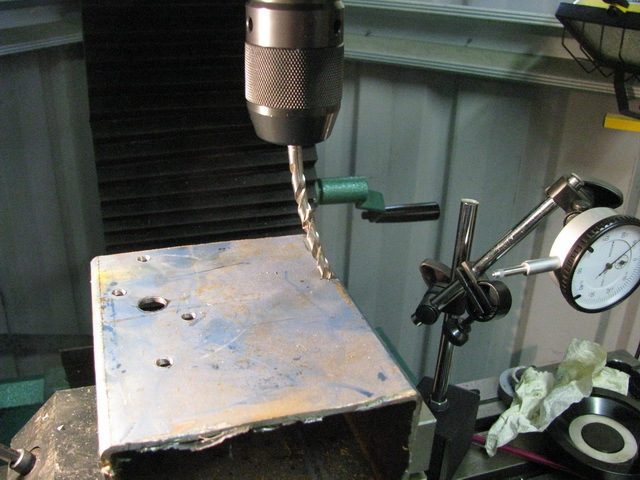 The tapping feature was of little use, and will be of less with the CNC conversion. The spindle start is onerous, requiring switching and start button. Spindle stop is uncomfortable (flicking around a flimsy switch). It didn't allow a manual way to start the spindle counter clockwise. The E-STOP doesn't stop CNC servo movement. The spindle doesn't start and stop under CNC control. Create a new independent E-STOP line that cuts power to the spindle and servos, and informs the PC on E-STOP button or axis limits. In making the mounts for the motors, there's been a few tricky spots to drill holes for. One of the first projects I wanted to try was to make a corner drill. You know... one that can drill around corners. I didn't realise that under Mach3, an M0 program stop wasn't "terminate", but "pause", and that pressing Run (Alt-R) again would continue on from the next line. "My inner nerd can beat up your inner nerd."